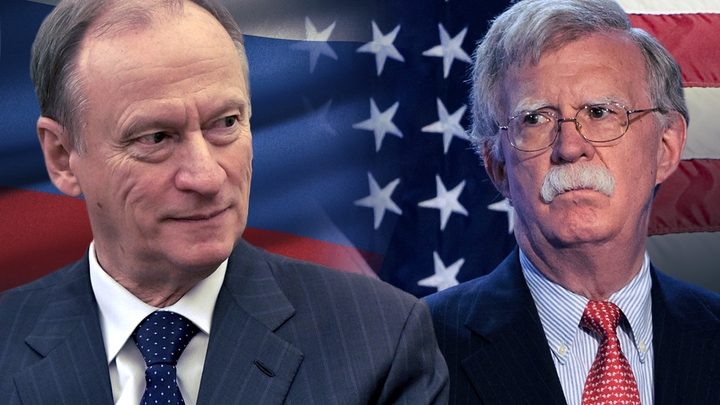 Today's meeting in Geneva of Russian Security Council Secretary Nikolai Patrushev, accompanied by Deputy Foreign Minister Sergei Ryabkov, with US National Security Adviser John Bolton may be the last attempt to avoid an open conflict between the two largest nuclear powers. The agenda of the event is known only in general terms: strategic security, the situation in Syria and Ukraine, the prospects for the withdrawal from the crisis of bilateral relations. The goal of the talks is to discuss again all the issues that are well known to try and find out those topics where there will be at least some willingness to conduct a dialogue. Negotiations are held in the conditions of the beginning of the US implementation of another painful package of anti-Russian sanctions for the case of Sergey Skripal's poisoning. Against the backdrop of Washington's demands and new anti-Russian sanctions, information appeared about the freezing of billions of dollars on the accounts of Russian "oligarchs." All this happens when in Moscow at the governmental level they started talking about the rejection of the dollar in trade deals with foreign partners, when the dollar and euro exchange rates on the Moscow stock exchange set new records, and the Russian armed forces suddenly resumed large-scale unscheduled checks of combat readiness. It seems that Russia is losing patience and tolerance, and that there are practically no hopes for President Donald Trump of the United States, whose promises evaporate within days after returning to Washington after another meeting with Russian leader Vladimir Putin. America interprets Russian restraint as a sign of weakness and continues to suffocate Russia with rapture. It's time for Moscow to choose between capitulation and a radical break with the United States. Americans believe that if they stick to their line, sooner or later Russia will make concessions, fulfill what Washington wants, give up its independent foreign policy and, in fact, capitulate. It is absolutely impossible. With this attitude, the Russian delegation also came to Geneva: not to negotiate terms of surrender, butto warn the US for the last time. On the eve of the Geneva talks, Ryabkov assured Russian journalists that there would be no capitulation, promising Moscow's proportional response to US sanctions.